There are many powerfully effective health devices, and technologies in all forms available right now that you'll never hear about from traditional medicine. If you truly want to experience greater health, you need to look outside the establishment for an upgraded approach. You already know the problem with the standard medical system. They look for and treat symptoms, while rarely addressing the underlying cause (Cancer, for example, is a symptom). The entire industry literally thrives on people being sick, not becoming healthy or cured. How can it, the largest industry in the world needs a lot of money to keep it running. Consider that our bodies are not separate, but part of Nature. Nature has its own very complex and multi-faceted healing mechanisms, and so do our bodies. What if we only need to optimize these natural systems using methods that are more coherent with their natural design and function? According to reports, the mega-industry trained doctors many put so much faith in, are now "the 3rd leading cause of death"! It's not really the doctors fault in most cases, it's the system from which they are educated, trained, employed, and paid by. They are unfortunately bound by the "Standard of Care" established by the Health Care System that is influenced within the highest levels by financial interests of pharmaceutical and medical companies. Even if doctors do know about alternative cures or remedies, they cannot offer those solutions without risking lawsuits, being fired, and losing their license. Thankfully, there are also new tools and health devices to help diagnose and treat health issues with this more integrated understanding. These tools are designed to help the body heal itself by addressing the conflict in our natural healing and maintenance systems. He's deeply tapped into hidden health secrets as much as anyone I've met. A perpetual and passionate researcher, he has developed a profound understanding of many subjects. He is also a talented teacher. He works primarily with athletes (even Olympic level), helping them achieve optimal fitness levels by introducing them to tools and concepts their competitors have have likely never heard of. He also helps everyday people disenfranchised with traditional health care and who want to finally heal. If you're one of these individuals, you'll likely feel much more empowered and hopeful after speaking with him. We've had many conversations, running the gamut of topics, but I wanted to share with you some of what I think you may find the most valuable in your own health quest. Throughout the interview, he drops a series of tips and nuggets of valuable information as we go through his Overall Health Assessment and his protocol for treatment. 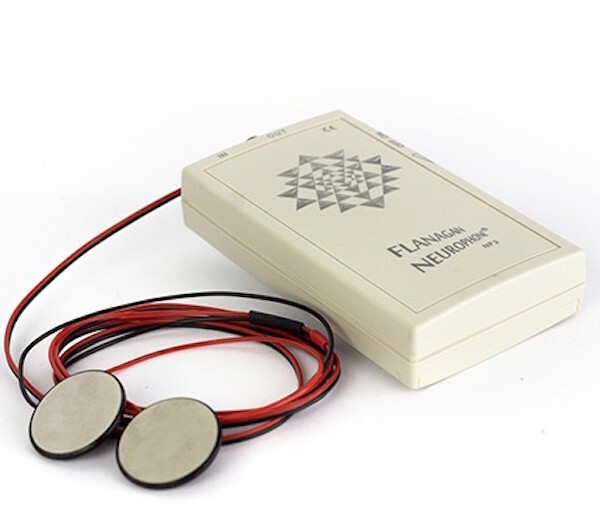 Glenn also demonstrates some of the most important health devices available for discerning the underlying root causes of issues, and how to really optimize the body for peak performance. There are of course, many other effective therapies of which he speaks about.